I was born and lived on Cocker Hill from 1951-1967 when the Faricy family moved from Clive House, Cocker Hill, up the small hill opposite St George’s church. We knew Mr Cook, from St George’s and his son Brian was a very good friend of my sister’s. 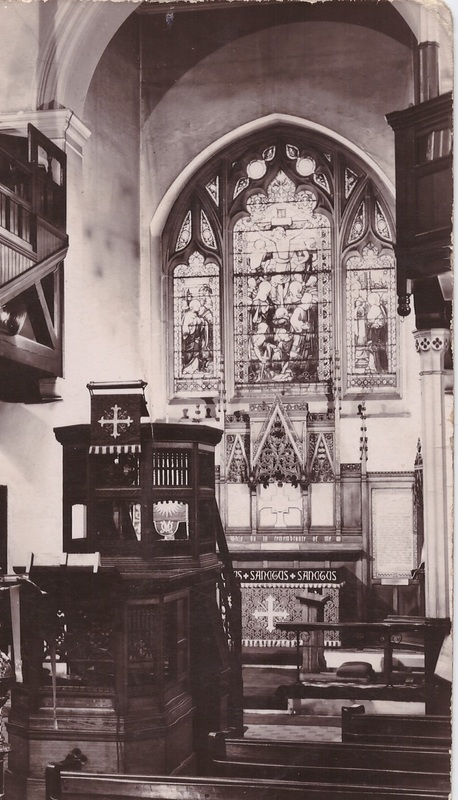 I remember going inside the Church only one time, Mr Cook let us stand just inside the door and your picture of the interior is just as I remember it! Walking home at night in the dark past the churchyard always terrified me! Clive House was demolished and some new houses have recently been built on the site – the views over Stalybridge and even up to St Peters church and school that all 6 Faricy children attended, were impressive. Some good memories! We were only allowed to watch TV during school holidays so reception was never a priority; sad when TV reception is more important to someone than a beautiful historical building! Hi I’m interested to see the new photos of the church. I was a chorister there for many years of my youth. As you look at the photo, the ladies were on the righthand side, & the men on the left of the pulpit. 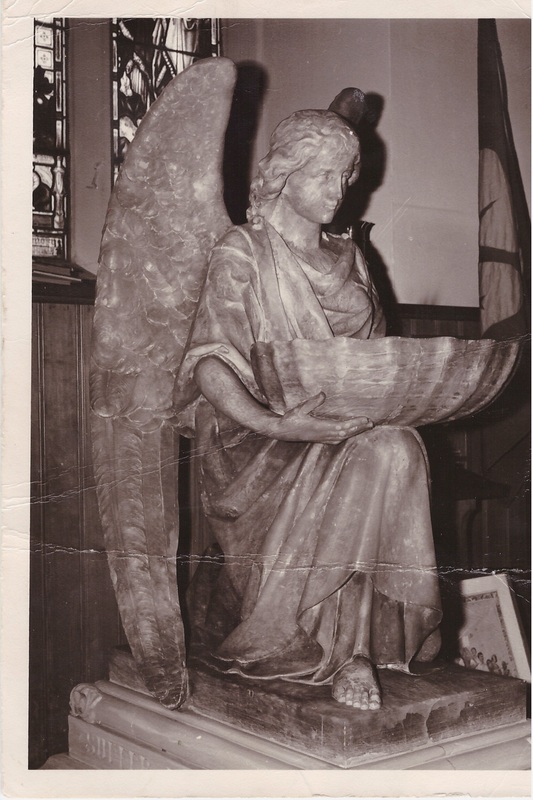 I loved my time in the choir, & sat in those pews many times. I am ashamed to admit, that when the sermon became long & a bit boring, we used to play marbles, along the pew with mint imperials!!!! As you entered the church the bell ropes were on the right, & beyond them in the corner were our robing rooms. 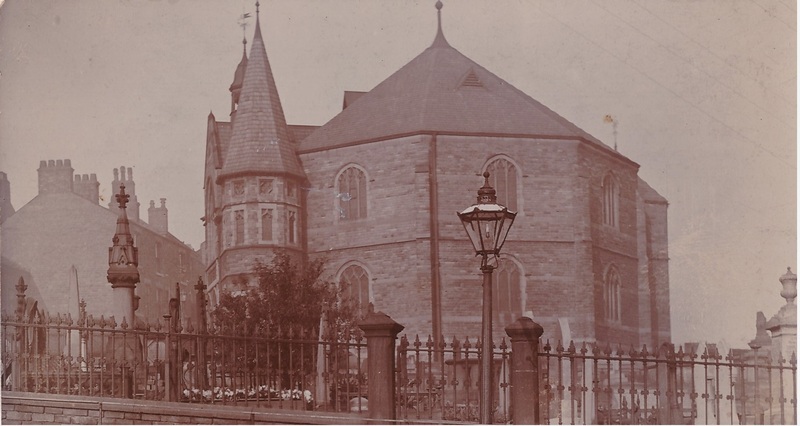 We used to have holy communion early in the morning, then wore our robes for Morning Service, & Evening Service.We also had Sunday School, in the afternoon, which was held at Old St Georges School, which I believe has now been demolished. My favourite bit was singing the Nunc Dimittis, as we walked out down the aisle holding our prayer books.This church played a huge part in the lives of all my brothers & sister. Hi Jacqui, thanks for your comment. I will make an effort to post more things on here and keep it moving. I was really grateful for the new pictures. I didn’t realise quite how ornate the old church was inside. The windows must have been ace. 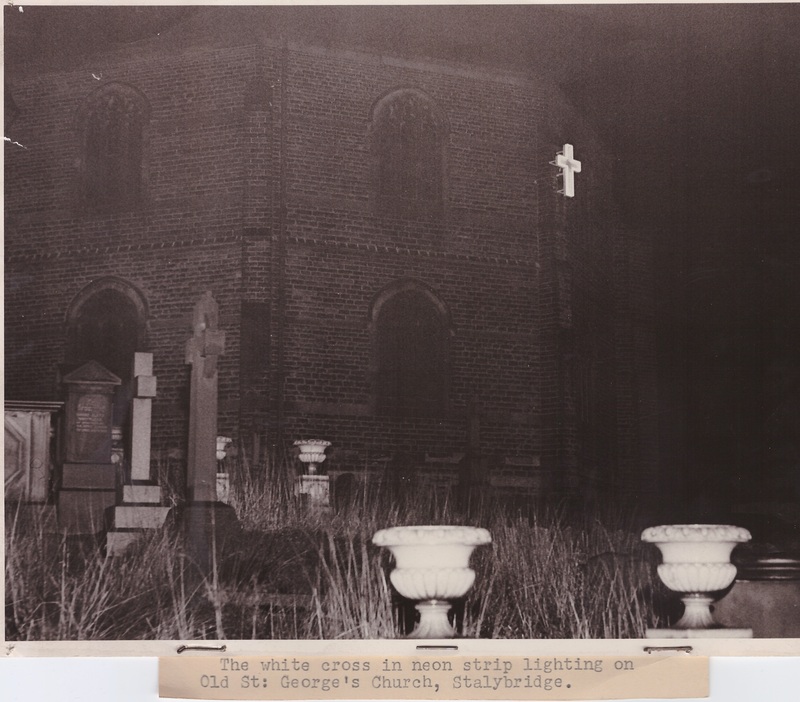 what wonderful pictures and history about the old St Georges church. What a beautiful church it was. So sad it isn’t there anymore. My mum lives on cocker hill almost opposite to where the church once stood, in one of the weavers cottages. My daughter was christened in the new St. Georges and I remember that beautiful font. My Great Grandfather and his family are buried a Old St. Georges church, the gravestone is now laid flat. They used to live in Stamford Lodge and owned Atlas Works down by the canal. Thanks for your comment; what was your Great Grandfather’s name? – I’ll go and have a look for the stone. My dad George Flanagan was brought up on Cocker hill.He was part of a very lsrge family and they lived in a one up one down. Hard times.